Learn, Earn, & Succeed in Direct Sales! Direct sales in today’s world is TOUGH. Not only are you balancing all your in person events and commitments there is an entire social media world to keep up on. Facebook, Instagram, Pinterest, Email, Follow-Up. There are literally not enough hours in the day. I don’t have all the answers when it comes to balancing work and home responsibilities nor am I an expert on time management. 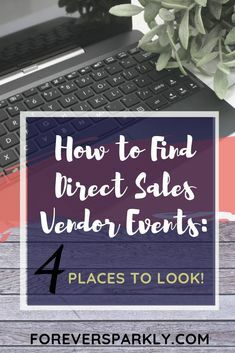 But, I DO have these time management tips that will help you get organized and take control of your direct sales business. Once you have mastered batching graphics you will save SO much time! But what exactly does it mean to batch graphics? Having templates of your most-used graphics means you can easily make new graphics in seconds. Consider using Canva. Facebook, Instagram, and Pinterest images can be made using their pre-made templates. Once you have a design you love, include your watermark and then next time, all you need to do is update the photo and text. Canva has a TON of templates that can make life easier for you. Be sure to take a peek at their entire collection. When you are ready to make graphics for your Facebook group or Instagram feed you will know the templates are there and you can easily make 10+ graphics in 30 minutes. This time management tip is crucial. All of us are distracted all day long by Instagram notifications, Facebook notifications, texts, and Facebook messages that pop up. In order to take control of your time and get more stuff done, you need to manage your notifications wisely. Facebook has a setting where you can mute your notifications for a specific amount of time. Use this feature often especially while you are batching graphics! You will find you will get so much done without constant distractions popping up. I personally use the Timer feature on my iPhone 8+ each and every day. When I need to complete a task, I set the timer for 15 or 20 minutes and focus on that 1 task until the timer goes off. Habitica: A role-playing game and task management app. Todoist: This app helps to keep track of everything in your life. Offtime: This app tracks how much you use your phone and makes it easy to identify habits and take action to change them. FlatTomato: This app improves productivity by keeping away distractions and tracking the time spent on each activity. There are so many other apps that can help you minimize the digital noise in your life. Reducing the notifications and distractions will ensure you stay focused and on task. You know what causes all of your notifications to blow up? All of the groups you are in and the pages you follow. Is it daunting to sit down and clean house when it comes to your Facebook Groups and Pages? Seriously. Take 30 minutes sometime in the next week and go to your Groups and Pages within Facebook. I suspect you are in more groups than you realize. Staying in the groups that serve you best and following the pages that serve your goals are key. You want to know my personal time management secret? Click HERE to see my time management secret weapon. I’m serious! Those things are what keep me on task and focused day in and day out. You may have a similar system but the key is to take time once a week to plan out your days. What do you need to accomplish? Decide then write it down for each day. Writing it down holds you accountable and you will find you will be able to accomplish way more than you ever thought you would. Direct sellers thrive on monthly goals. Most companies operate on a monthly rewards system that resets itself at the beginning of each and every month. Know way ahead of time what you are striving to achieve. Is it a certain number of products sold? Is it a specific commission amount? Are you looking to gain a certain number of new team members? Think about these questions then work backwards. Write down the tasks you know you need to do to reach those goals. Having a monthly plan of action will help to stay on task and see where you can maximize your time. I mentioned maximizing your time just now and scheduling is a HUGE reason I get as much done as I do. I love to schedule all of my social media platforms at least one month ahead. My Facebook Business Page is all done with the native Facebook scheduler. My Java Momma Coffee Team Group is also scheduled with the native Facebook scheduler. Pinterest for myself and clients are all scheduled using Tailwind. Designating a day each month to schedule out all of these platforms makes it easy. Personally I sit with a calendar in front of me and jot down notes as to what I will be posting. Click the image to print your own calendar. This makes it easy to develop content arcs for your community! You know who is always lurking over your shoulder? They are sneaky little things and before you know it, your time has gone and you are no further forward with the task at hand. Identify your biggest time thief and consciously make changes to give it the old heave ho! Turn Off Notifications or use a program on your computer like Self Control App that blocks access to certain websites for a set amount of time. Tidy up your workplace so you always have the items you use the most in the spot where you can always find them. Instead of spending hours and hours on one task and making it “perfect” write “Done is Better Than Perfect” on a Post-It and keep it front and center whenever you work. When it comes down to it, those who are successful in direct sales are those who are consistent, patient, and have a ton of self-discipline. You have the knowledge and the tools to make it happen. This last tip may be all you need to master time management. Having an accountability partner can be so helpful when it comes to growing your direct sales business. Even better, if that accountability partner is outside of your direct sales brand, you will gain a unique perspective and understand your business even more so. Not only is an accountability partner a built-in cheerleader, they are there to ask you the hard questions. To keep pushing you, and to lift you up when you are down. Do you have an accountability partner? If not, start actively searching for one. Having another person to bounce ideas off of and remain a constant in an ever changing direct sales world can mean increased satisfaction and success. These 10 time management tips for direct sellers are not easy but for those who follow them you will most certainly find yourself taking control of your business versus your business controlling you. To accompany all of these time management tips, there are ways to make your direct sales business passive income. This will ultimately free even more time up for you all while increasing your monthly income. Head on over HERE to read how to turn your direct sales business into a strong passive income channel. Click To Purchase Epic Facebook Party Training! Increase engagement, sales, and future bookings! Click to purchase Sassy Suite's Epic Live Facebook Party Training. It includes a 65-page workbook which outlines just how to set up a direct sales Facebook party. My first party after implementing this training, I made $500+ in sales and had 3 future party dates scheduled. Invest in your business and purchase the training today! Origami Owl Summer collection 2017 Origami Owl 4th of July Locket Ideas Origami Owl Red White and Blue Origami Owl Charms for summer Origami Owl Military Email kristy@foreversparkly.com for a free gift! Please note that some of the links on my site are affiliate links. There is no additional cost if you decide to make a purchase; I will simply earn a small commission. These are all products and courses I have personally purchased myself and I believe strongly in sharing their value with the rest of my community! Have questions? Feel free to contact me! Click to see our GDPR Privacy Notice.